Background The purpose of this study was to measure the level of quality of work life (QWL) among hospital employees in Iran. Additionally, it aimed to identify the factors that are critical to employees’ QWL. It also aimed to test a theoretical model of the relationship between employees’ QWL and their intention to leave the organisation. Methods A survey study was conducted based on a sample of 608 hospital employees using a validated questionnaire. Face, content and construct validity were conducted on the survey instrument. Results Hospital employees reported low QWL. Employees were least satisfied with pay, benefits, job promotion, and management support. The most important predictor of QWL was management support, followed by job proud, job security and job stress. An inverse relationship was found between employees QWL and their turnover intention. Conclusion This study empirically examined the relationships between employees’ QWL and their turnover intention. Managers can take appropriate actions to improve employees’ QWL and subsequently reduce employees’ turnover. 4. Gallie D. Employment regimes and the quality of work. Oxford: Oxford University Press; 2007. 13. Daud N. Investigating the Relationship between Quality of Work Life and Organizational Commitment amongst employees in Malaysian firms. International Journal of Business and Management 2010; 5: 75-82. 14. Hian CC, Einstein WO. Quality of work life: what can unions do? Advanced Management Journal1990; 55: 17-22. 15. May BE, Lau RSM, Johnson SK. A longitudinal study of quality of work life and business performance. South Dakota Business Review 1999; 58: 3-7. 16. Hofstede G. Culture’s consequences: International differences in work-related values. CA: Sage; 2003. 19. Nasiri Pour AA, Mehr-El Hasani MH, Gorji A. Relationship between organisational culture and Six sigma implementation in Kerman university hospitals. Health Manage Q 2008; 11: 33-40. 21. de Croon EM, Sluiter JK, Blonk RW, Broersen JP, Frings-Dresen MH. 2004. Stressful Work, Psychological Job Strain, and Turnover: A 2-Year Prospective Cohort Study of Truck Drivers. J Appl Psychol 2004; 89: 442–54. 22. Gray AM, Phillips VL, 1996. Labour turnover in the British National Health Service: a local labour market analysis. 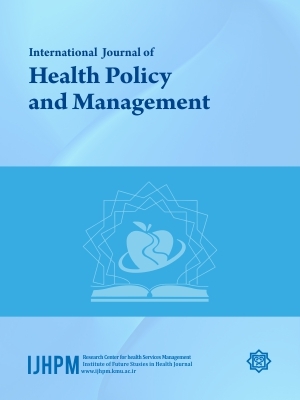 Health Policy 1996; 36: 273–89. 28. Yin JT, Yang KA. Nursing turnover in Taiwan: a meta-analysis of related factors. Int J Nurs Stud 2002; 39: 573-81. 30. Tai TWC, Bame SI, Robinson CD. Review of nursing turnover research, 1977–1996. Soc Sci Med 1998; 47: 1905–24. 32. Gifford BD, Zammuto RF, Goodman EA. The relationship between hospital unit culture and nurses’ quality of work life. Journal of Health Care Management 2002; 47:13-26. 34. Yousuf AS. Evaluating the quality of work life. Management and Labour Studies 1996; 21: 5-15. 35. Dargahi H, Sharifi Yazdi MK. Quality of Work Life in Tehran University of Medical Sciences hospitals’ Clinical Laboratories employees. Pak J Med Sci 2007; 23: 630-3. 36. Baruch-Feldman C, Brondolo E, Ben-Dayan D, Schwartz J. 2002. Sources of social support and burnout, job satisfaction, and productivity. J Occup Health Psychol 2002; 7: 84–93. 37. Mosadeghrad AM, Yarmohammadian MH. A study of relationship between managers’ leadership style and employees’ job satisfaction. Int J Health Care Qual Assur Inc Leadersh Health Serv 2006; 19: xi-xxviii. 40. Davidson H, Folcarelli PH, Crawford S, Duprat LJ, Clifford JC. The effects of health care reforms on job satisfaction and voluntary turnover among hospital based nurses. Med Care 1997; 35: 634-45. 42. Kennington G. A case for a formalized career development policy in orthopaedic nursing. Journal of Orthopaedic Nursing 1999; 3: 33–8. 46. O’connor DB, O’connor RC, White BL, Bundred PE. The effect of job strain on British general practitioners’ mental health. J Ment Health 2000; 9:637-54. 48. Leveck ML, Jones CB. The nursing practice environment, staff retention, and quality of care. Res Nurs Health 1996; 19: 331-43. 49. Ahsan N, Abdullah Z, Yong Gun Fie D, Alam SA. A Study of Job Stress on Job Satisfaction among University Staff in Malaysia: Empirical Study. European Journal of Social Sciences 2009; 8: 121-31. 51. Khatibi A, Asadi H, Hamidi M. The Relationship Between Job Stress and Organizational Commitment in National Olympic and Paralympic Academy. World Journal of Sport Sciences 2009; 2: 272-8. 55. Kuokkanen L, Leino-Kilpi H, Katajitso J. Nurse Empowerment, Jobrelated Satisfaction, and Organizational Commitment. J Nurs Care Qual 2003; 18:184-92. 56. Mosadeghrad AM, Moraes A. Factors affecting employees’ job satisfaction in public hospitals: Implications for recruitment and retention. Journal of General Management 2009; 34: 51-66.